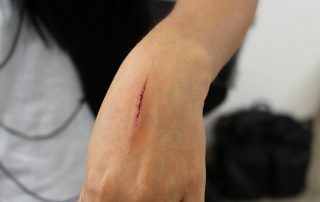 We start this course with out-of-the-kit effects that are the staple of professional make-up artists. 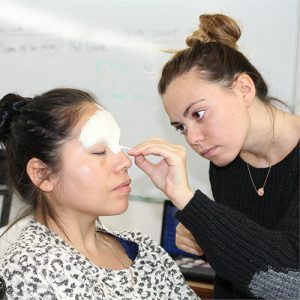 We will help students learn their craft in this hands-on course that covers two and three-dimensional techniques to simulate injuries and other effects. 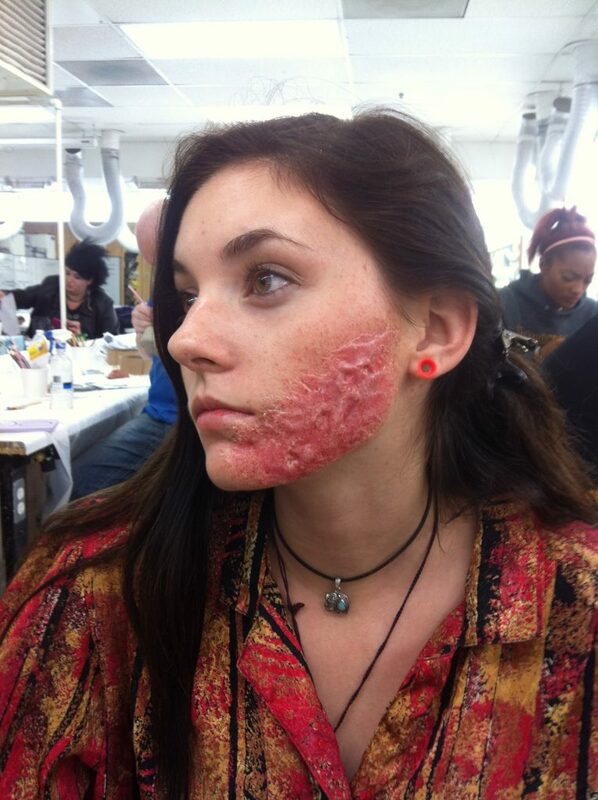 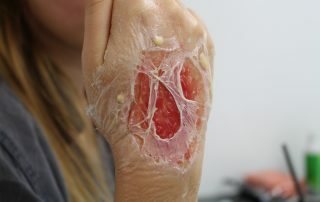 Our team of professional make-up artists will walk students through the process of applying and coloring foam gelatin prosthetic appliances, silicone GFA’s, foam latex prosthetic appliances and Prosaide transfers. 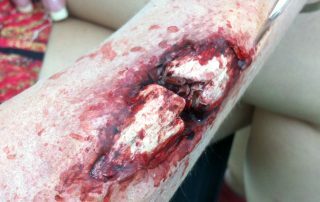 This course consists of 10 or 20 sessions for a total of 35 or 70 clock hours. 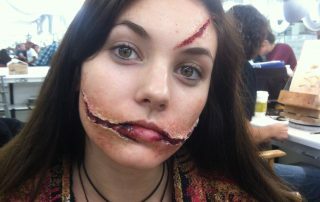 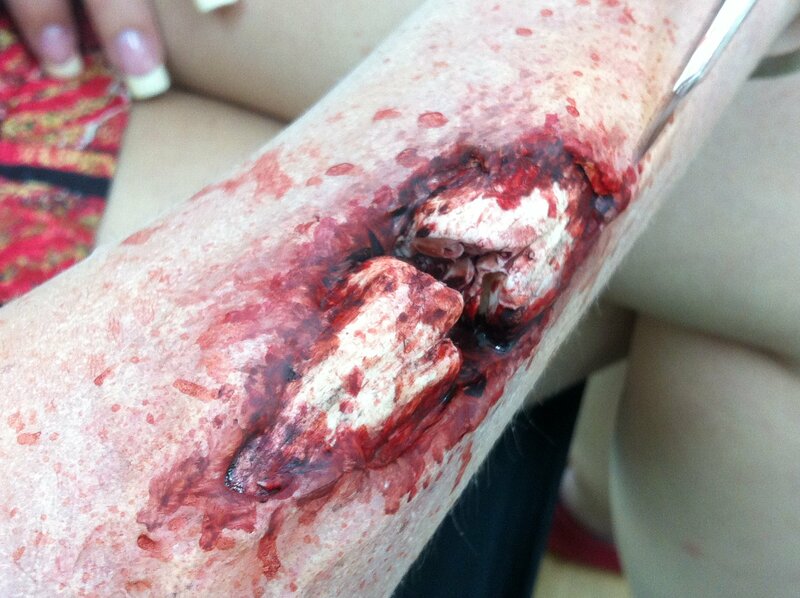 Make-up Designory has led the way in FX training with our Special Make-up Effects courses at our main campuses. 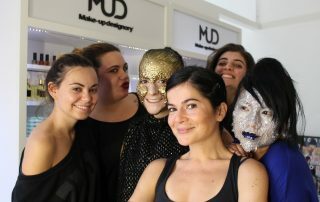 MUD has created a unique specialty course for students unable to get to one of our main campuses. 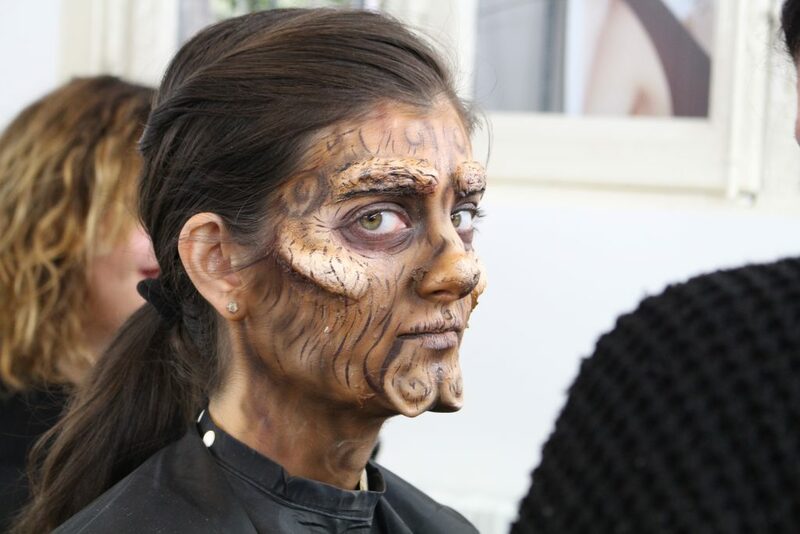 This course is designed to be offered as a 35-hour class or as a 70-hour class depending on availability of one of our international FX artists. 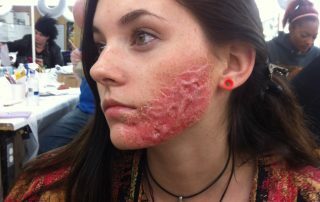 Anyone who wants to learn Special Effects basic equivalent experience of Beauty Essential is wanted but not needed. 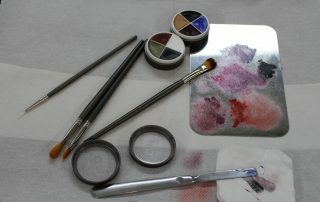 Beginners and professionals are welcome. This make-up course lasts 70 hours. 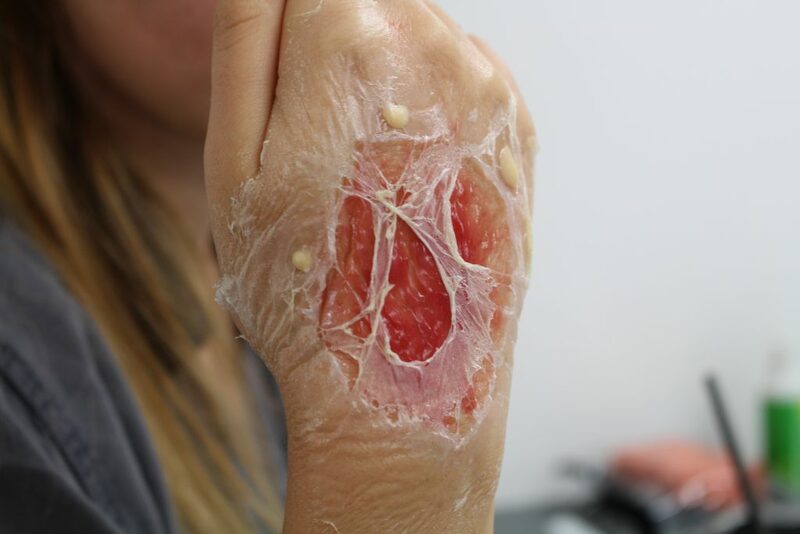 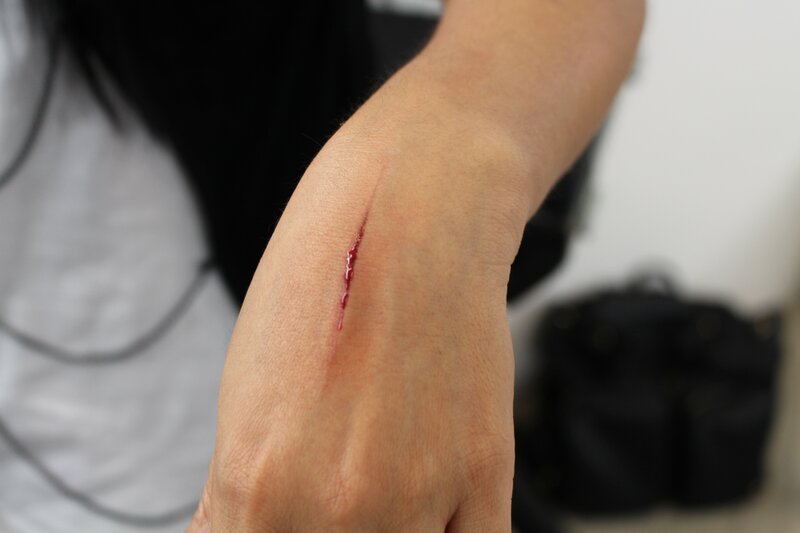 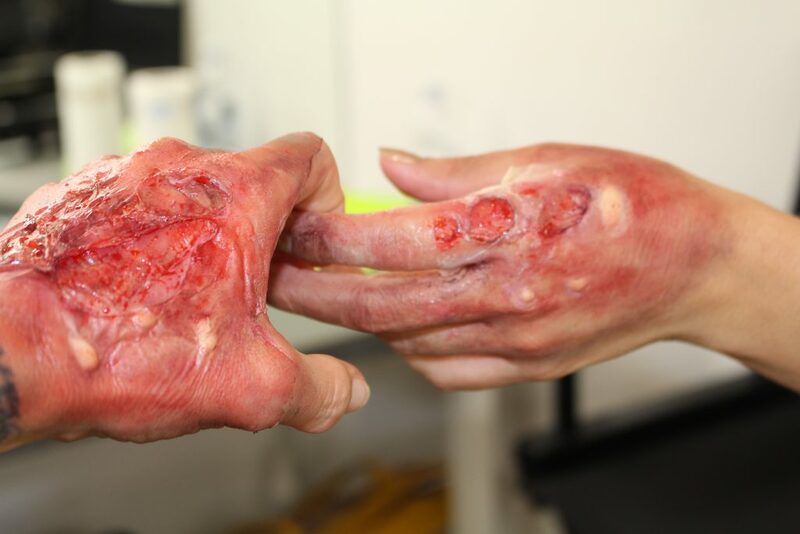 This 70 hours of the Course are basicsof SFX the most found and used in the Industry. 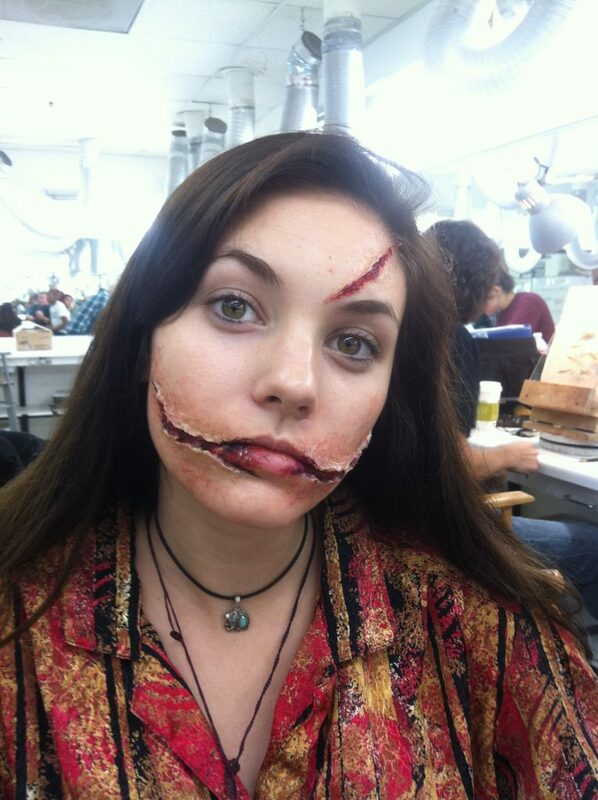 They will make any professional make-up artist feel comfortable.